Very stylish Dual-Bay docking station with clone function for 2.5 "and 3.5" HDD / SSD hard disks. 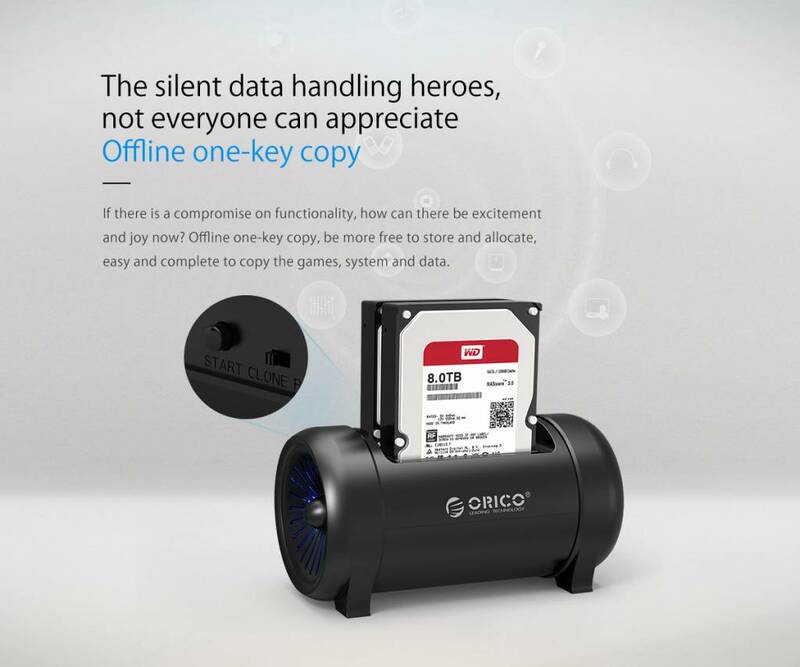 Set all your data safe and copy them easily. 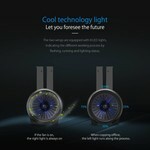 Equipped with intelligent sleep mode, strong fan and futuristic LED lighting. Place two hard drives in this Orico Dual-Bay docking station and enjoy the possibilities to secure and store files and data. 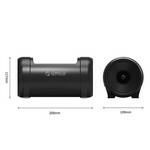 The docking station supports 2.5 inch HDD / SSD and 3.5 inch HDD / SSD. 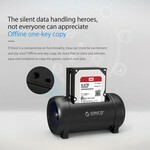 The clone function also allows you to easily duplicate / clone all data to the other hard drive. 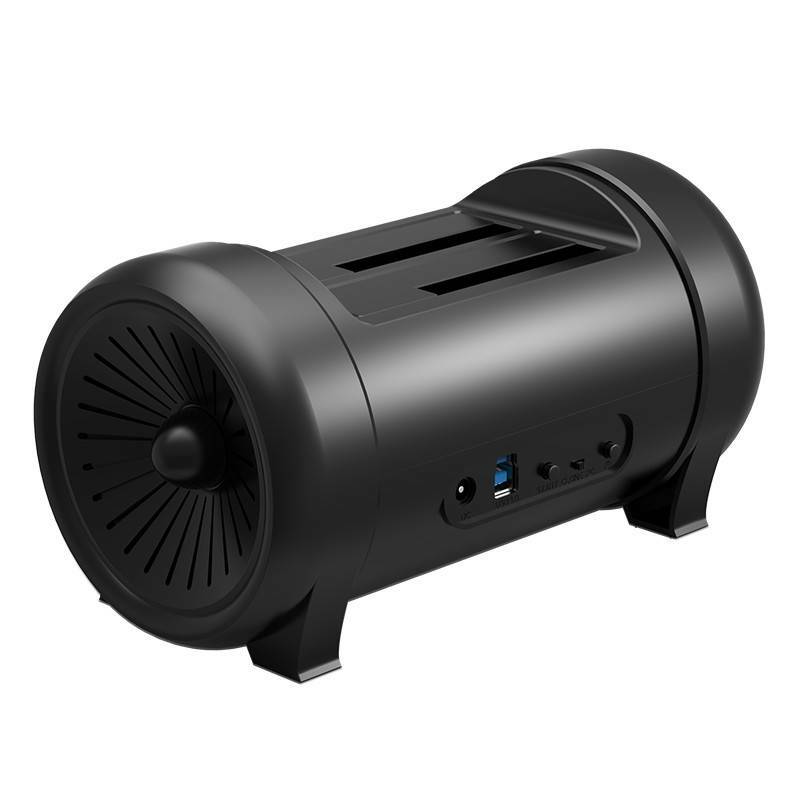 Thanks to USB 3.0 technology, the docking station supports a SuperSpeed ​​transfer rate of up to 5Gbps. This is 10 times faster than the transfer speed with USB 2.0. This Dual-Bay har disk drive has a clone function. You can copy the data from the source disk to the target disk, which is a process that can be performed offline. Place the hard disks correctly in the docking station, press the start button to start copying. 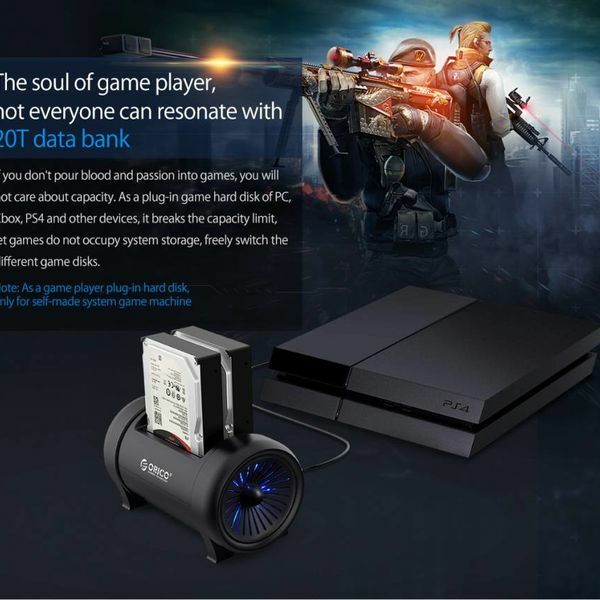 Are there no hard drives or are they placed incorrectly? Then the product will beep for warning. The offline duplication has many advantages. 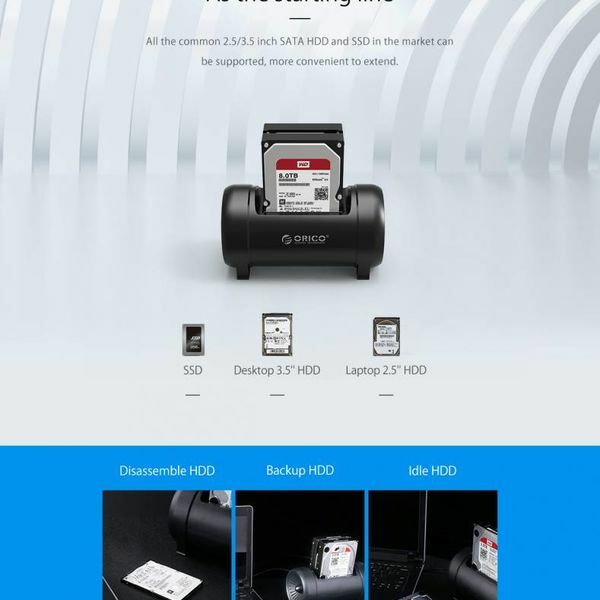 The computer does not have to be connected, efficiency and safety are improved and all without affecting your work. 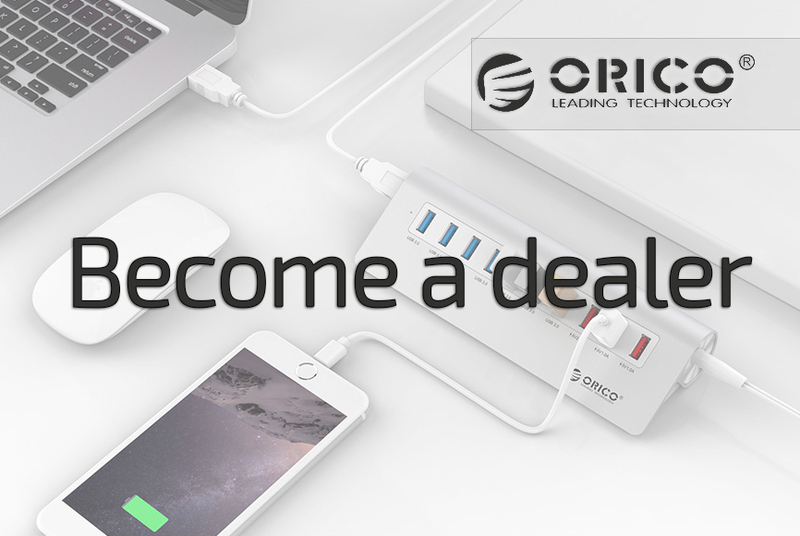 Connect the dual-bay docking station for two hard drives to your computer, HD player, smart TV, router or cloud server and experience the convenience and comfort of exchanging data with an additional expansion capability of up to 20TB. Perfect for anyone who needs a large storage space to store the data. 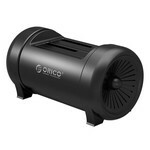 If you like gaming, the Orico clone docking station is the perfect product. 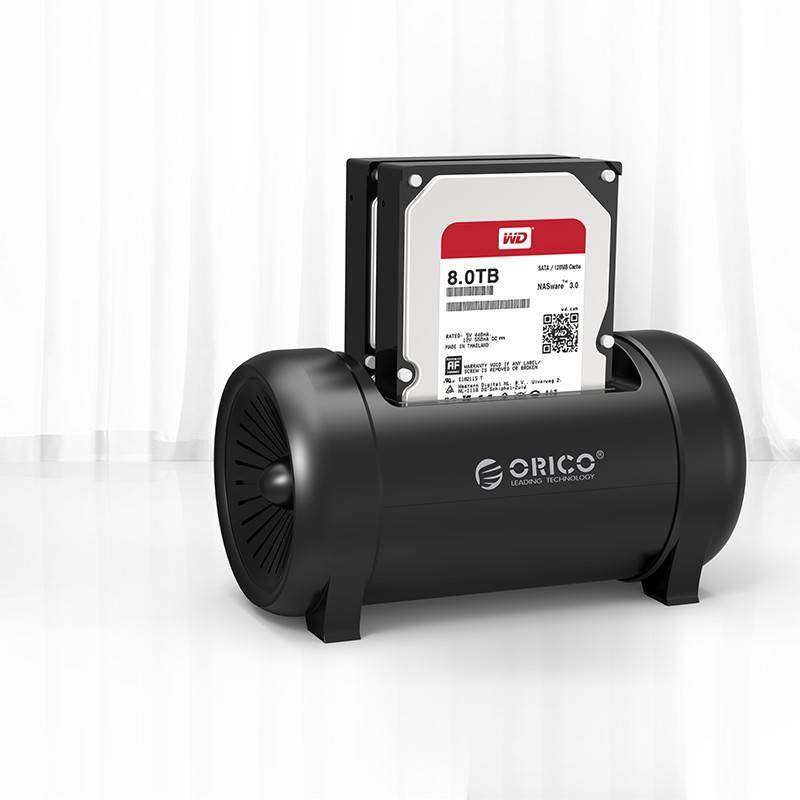 You can easily copy all data and create more storage space for your hard disks. 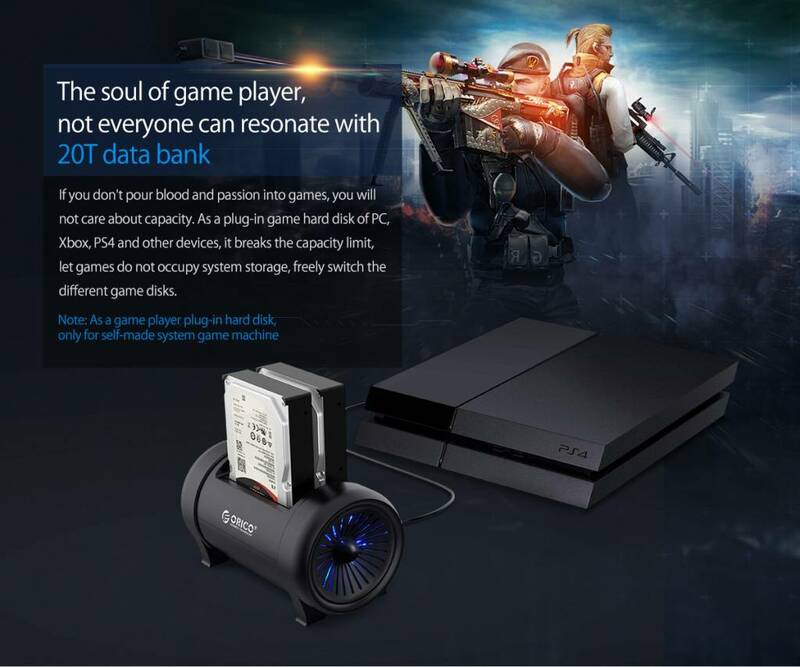 Clone your external game HDDs from your PC, PS4 Xbox360 / One and other devices and keep the maximum storage capacity free for your new games and savegames. 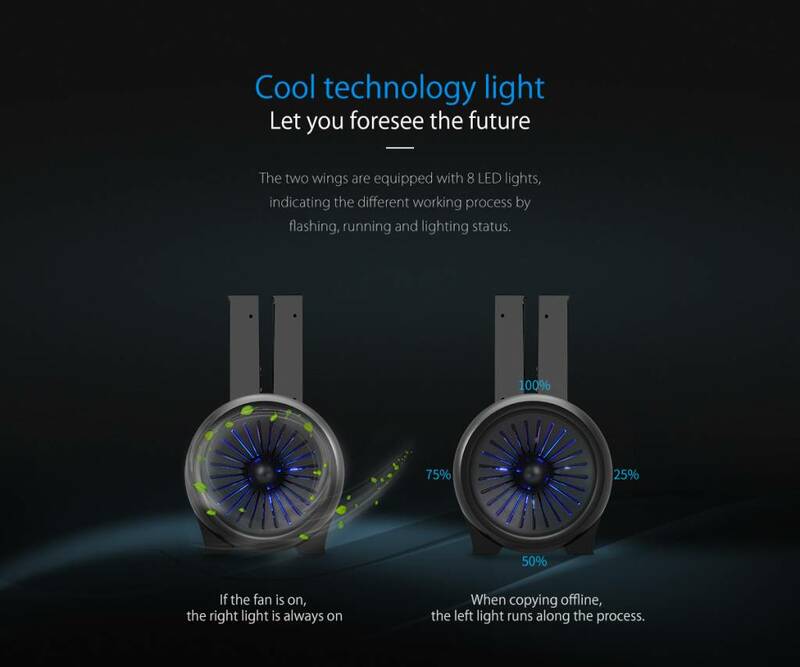 8 cool LED lights have been incorporated into the "wings" of the product. These indicate the different work processes and lighting status by flashing, among other things, but also by the continuous light. These LED lights and indicators provide a cool futuristic effect. When data is copied, you can follow the process through the light on the left. The Dual-Bay hard disk dock also has an extraction fan. This can be found in the right wing. 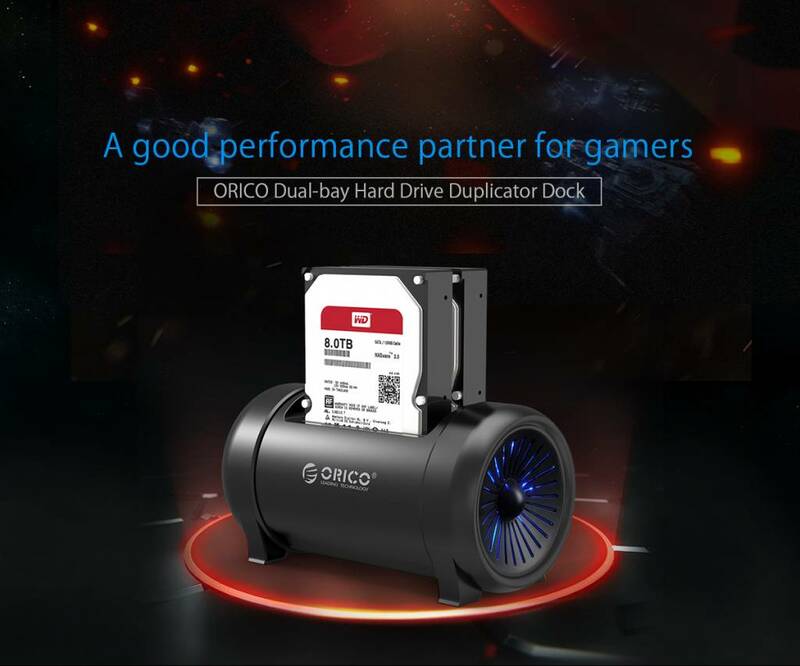 The 7mm adjustable cooling fan provides a large flow of air to dissipate heat and ensure the stability of the hard disks. As soon as the fan is on, the correct LED light is on. 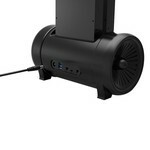 The 2.5 "and 3.5" HDD / SSD clone docking station is also equipped with an intelligent sleep mode. This saves you a lot of energy. If there is no data interaction for a long time, the hard disk drive can be in sleep mode intelligently. 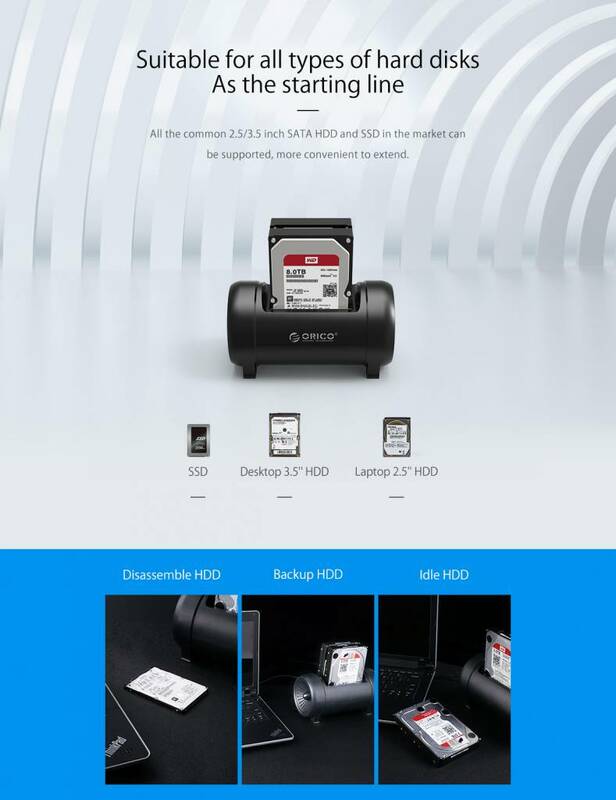 During this period, the hard disk, chip and fan can get rest, dissipate heat and significantly reduce energy consumption. As a result, the service life is extended again. Good to know: there may be a delay of 3 to 5 seconds in the wake up process. This is normal. 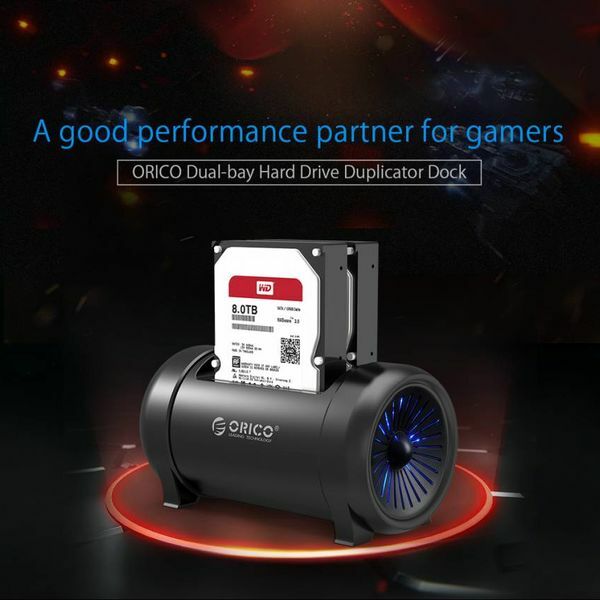 ✔ Dual Bay hard disk docking station. ✔ Output: USB 3.0 Type-B. 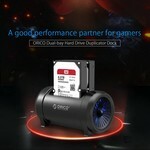 ✔ Suitable for: 2.5 / 3.5 inch SSD / HDD. ✔ DC power supply: 12V. ✔ Has clone function (also works offline). ✔ Master Controller Schema JMS561U. ✔ System support: Windows, Max, Linux. ✔ Including USB-A to USB 3.0 Type-B data cable of 1 meter. ✔ Product dimensions: 215mm x 110mm x 155mm. ✔ Including manual (in English).